Michael Hatrak joined the Willnow Group in 2008 shortly after obtaining his real estate license. 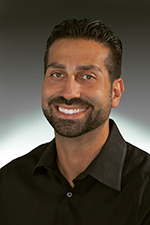 His area of specialty has been working as a buyers agent in the North Atlanta area. He has lived most of his life in Alpharetta and knows the greater Atlanta area extremely well. He has also worked in finance for over 10 years and is very helpful in finding ways to work around financial problems that may arise. His free time is spent at his community church working with high school students or on his boat on Lake Hartwell.